Blood is traditionally in short supply during the winter months due to the holidays, travel schedules, inclement weather and illness. 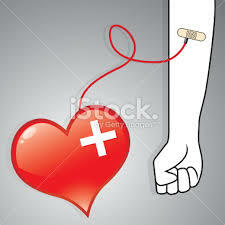 January, in particular, is a difficult month for blood centers to collect blood donations. A reduction in turnout due to any of those factors can put our nation’s blood inventory at a critical low. Every day in our country, approximately 39,000 units of blood are required in hospitals and emergency treatment facilities for patients with cancer and other diseases, for organ transplant recipients, and to help save the lives of accident victims. If you are at least 17 years of age (some states permit younger people to donate with parental consent), weigh at least 110 pounds and meet other donor requirements, you may be eligible to donate blood. ← Is it time for you to remodel? !